Last year a record number of sea lions washed up on Central and Northern California beaches, according to The Marine Mammal Center, the organization that treats wounded wild marine animals. 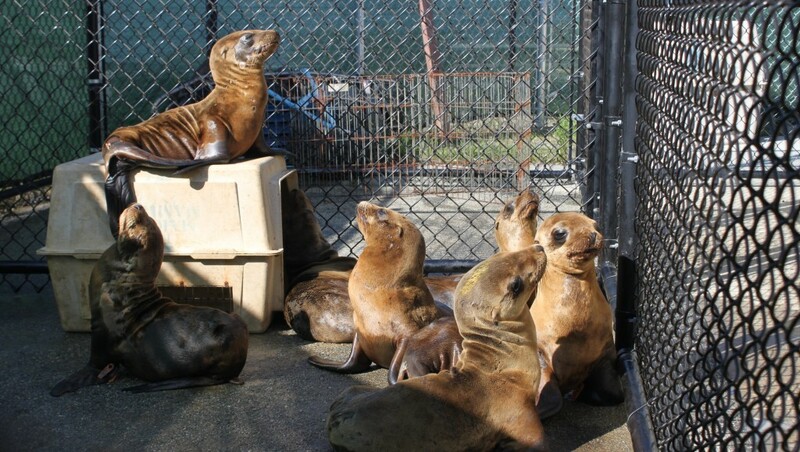 Usually the center near Sausalito treats fewer than 20 sea lion pups a year, but in 2014 that spiked to 245. Older sea lions also stranded themselves in record numbers last year, 449 up from 176 in 2013. A neurotoxin found in algal blooms affected 34 percent of the adults. 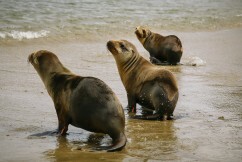 The sea lions were sighted all the way from San Luis Obispo to Mendocino. When rescuers responded to calls, said Shawn Johnson, Director of Veterinary Science, the emaciated pups looked extremely undernourished. "It's very sad," Johnson said. "Imagine starving to death and not eating for many weeks, where your skin is just hanging off you." Why Do Pups Get Stranded? Strandings happen when sea lion moms abandon their pups before they are ready to feed on their own. Scientists are unsure precisely what is causing these events. One possibility is rising ocean temperatures. Fish live in specific temperature ranges and warmer water could change their habitat, which means sea lion moms swim father afield to find the same amount of nutrients. Scientists do know that when the adults are unable to provide for the pups they abandon them. If the infants are younger than 10 months, they don't know how to fend for themselves and wind up on beaches throughout the state. Each year the center is able to save about 50 percent of the pups that are rescued, by nourishing them back to health with a slurry of ground-up fish. The center is working with biologists from the National Marine Mammal Laboratory to study the health of sea lion populations on the Channel Islands, where the animals breed. They're hoping to help predict future strandings. "We’re bracing for another very big year in 2015," Johnson said. "The biologists observing sea lions at the Channel Islands say the pups are underweight so we’ll likely have another busy spring." Since 1998, scientists have discovered sea lions with a neurotoxin that causes memory loss and seizures. Domoic acid is created by certain types of algae and passed up the food chain from fish to the animals that eat them. Once ingested, the toxin enters the bloodstream, traveling to the brain where it starts causing brain damage. Scientists performing memory tests on the animals also found that the animals lost memory function. 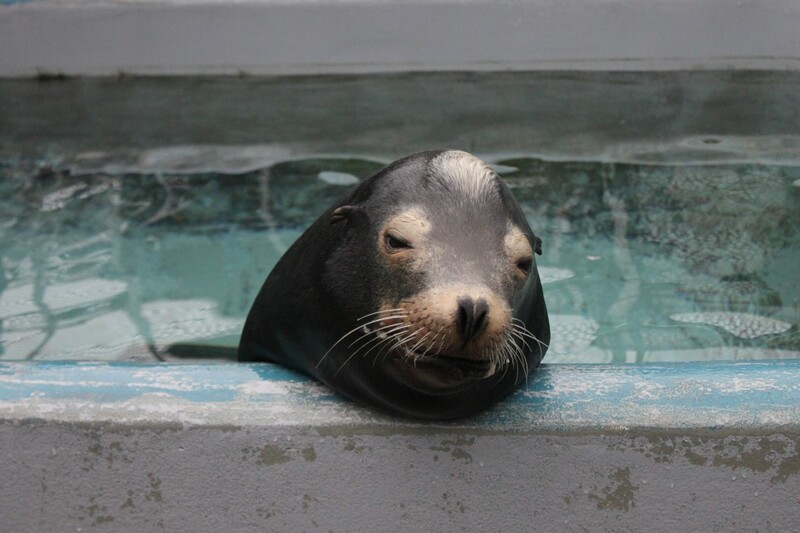 If treated immediately, some of the sea lions survive but once the toxin accumulates the animals often experience multiple seizures and die. This year, four sea lions have been admitted to The Marine Mammal Center that have domoic acid. Because these harmful algal blooms can be toxic to humans as well, the center alerts the health department when several animals are discovered with the toxin. "When it comes to domoic acid, they literally are the canaries in the ocean or coal mine," Johnson said. "We do what we can but some of these sea lions might not have enough memory to survive out in the wild."